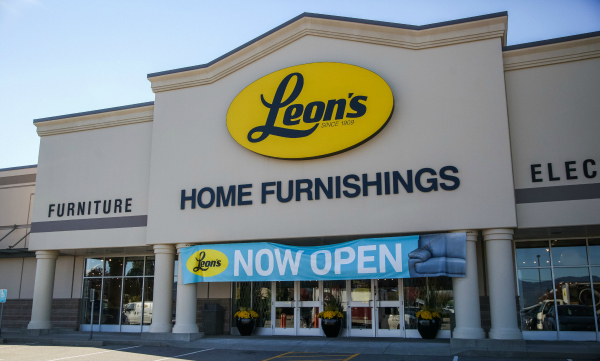 TORONTO – Leon’s Furniture Limited (LFL), this country’s largest full-line furniture retailer reported minor slippages in corporate revenue and net earnings for the third quarter of 2018 although overall profitability remained solid and outstanding debt was cut by two-thirds. For the three months ending 30 September 2018, system-wide revenue was $707.1 million – essentially unchanged from the $706.6 million for the same period of 2017. Corporate store revenue was $592.4 million, off a meagre 0.5% from $595.4 million for the comparable period as same store sales sagged 1.6%. The company attributed the decline to lower appliance sales in certain unidentified regional markets. However, sales by its 100-member franchise network were up 3.3% to $114.7 million. Net income was $33.7 million or 44 cents per share, compared to $34.4 million or 43 cents per share for the 2017 period – a drop of 8.3% on a per share basis. However, LFL’s net debt at 30 September 2018 was $83.7 million, down significantly from $225.8 million one year earlier. “Leon’s drove solid profitability in Q3 despite an overall weakness in consumer spending in the Ontario market,” LFL president and chief executive officer Edward Leon said in a statement. “During the quarter, we made same-store-sales gains in some regional markets outside of Ontario, with stronger market share positioning and gains achieved in our franchise groups. We are proud to say that our team’s efforts drove higher average tickets while maintaining profitability across the board. “On October 25, 2018 we announced an important undertaking to position our already leading e-commerce business for additional growth,” he continued, “All the company’s online stores have now migrated to a Shopify platform, and we have already generated additional growth in e-commerce revenue as a result. “This latest step in our strategic journey will drive value from our online properties, while continuing to support our ancillary business lines and coast-to-coast real estate portfolio. Between these value creation exercises and continued solid execution at store level, we expect to build significant value for all of our long-term shareholders,” he added. For the nine months that also ended 30 September 2018, total system-wide sales were $1.96 billion, up 2.2% from the comparable period’s $1.92 billion. Corporate stores sales were $1.64 billion, up 1.3% from $1.62 billion as same store sales edged forward 0.4%. 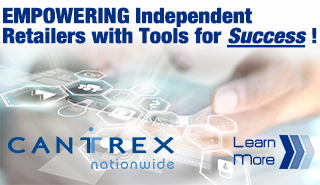 Meanwhile, franchise network sales were $321.3 million, up 7.3% from $299.5 million. Net income for the first nine months of the year was $72.2 million or 95 cents per share compared to $61.8 million or 86 cents per share – an increase of 10.5% on a per share basis. Leon was upbeat in his outlook for the rest of 2018 and beyond. At the end of the third quarter, LFL’s total store count remain unchanged at 304. However, over the past nine months it has closed one Brick Outlet store and one franchise operating under The Brick banner. It has opened one Appliance Canada store as well as a Brick Mattress store. Leon’s Furniture Limited is the largest retailer of furniture, appliances and electronics in Canada. Its retail banners include: Leon’s; The Brick; Brick Outlet; The Brick Mattress Store as well as Appliance Canada. It also operates three web sites: leons.ca, thebrick.com and furniture.ca.